Host went above and beyond! I was even given a brief tour of the neighborhood which really saved time in the long run. 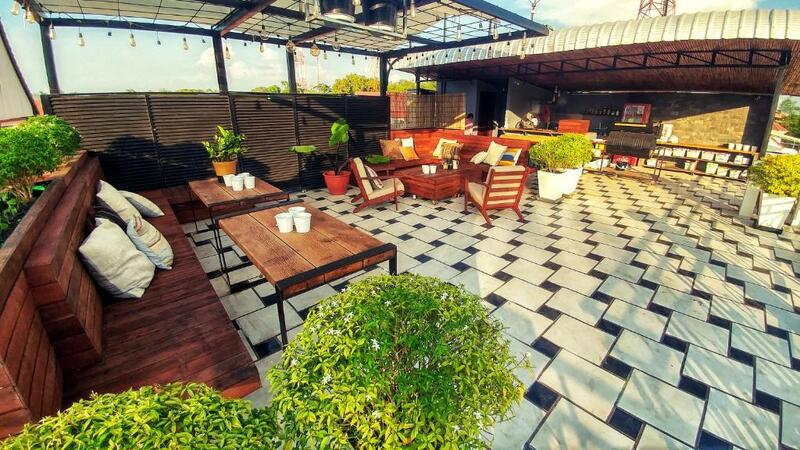 The location is perfect for exploring Angkor Wat and a short walk to Pub street where all the nightlife is happening. 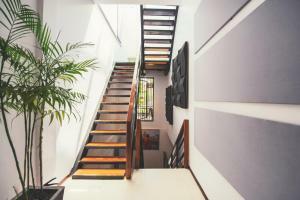 Care attention and pride in establishing a home away from home for visitors. Beautifully appointed throughout. Safety is plus. Ananda and staff are gracious. And there's Picasso a most welcoming presence. The property is in a great location a short walk to all the markets and pub street. We arrived early and the hotel was able to arrange a transfer to pick us up at the airport and had our room ready even though check in time wasn't for another 3 hours. We were shown around the area by one of the employees on arrival and given recommendations on what to do and where to eat. They were able to book a guide and driver for us to see the temples during our stay. Our departure flight was late and unfortunately they didnt have any rooms available for us to check out late but they did have a shower available for us to use which was great after a long day of sightseeing/shopping before getting on our flight home. Anada and Maridet were more than accommodating. They don't nickle and dime you with various charges for coffee or even being picked up from the airport. It's all part of the service. 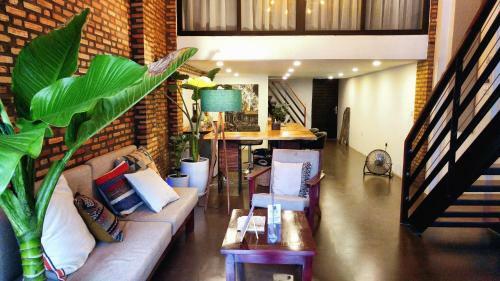 The hotel is located in the new and upcoming area of Siem Reap. Lots of small and excellent shops and good restaurants to pick from - if you want to stay away from the noisy Pub Street. Felt like home. I would definitely recommend this establishment to anyone and absolutely stay there again myself! And I'd also lone to say how spacious my room was. Plenty of room to scatter my clothes and things everywhere! - Excellent location. Right in the heart of things, yet still quiet at night. - Beautiful and modern apartments, instead of hotel rooms. So it was really comfy. - Kitchenette with most of the essential things you need to cook/eat at home. - Drinking water provided. - Great wifi. - Plenty of electric outlets. - Great air con. - Excellent English speaking hosts to communicate with. - Excellent driver (Dara) recommended by the guesthouse, he drove us on day trips and a multi-day excursion, and was a very safe and cautious driver. Rental prices were clearly listed in the lobby. The rooms at Ananda's were very spacious, cool and clean, and the place is walkable to pub street. When traveling, we usually stay in smaller establishments with a personal touch and Ananda's is among the best at that. Thanks to Mr Ananda, Leoung and Maridet for also arranging tours, tuk tuks as well, and being such great hosts! Receptionists ( including the cat ) are so friendly and very helpful. I am sure Loeun is the best receptionist I have ever met. The woman receptionist is also very kind to me suggested the perfect massage place. My favorite fruit is mangosteen and thank you very much : ) Thank you very much again. This is my first time traveling alone and you guys made it so easy for me. A pleasant stay. I would recommend the hotel to anyone who loves a nice, cozy, clean and comfortable room. The movie collection is great. The place is near the downtown of Siem Reap, just a couple of minutes walking. Vincent, the owner's assistant, is very friendly. He sent a driver to pick us at the bus station. What a special treat. Thank you Ananda's Siem Reap. 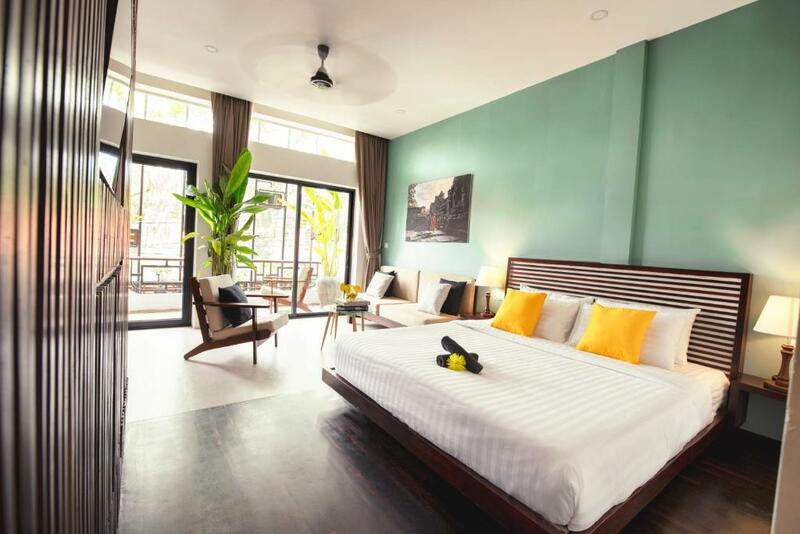 Lock in a great price for Ananda's Siem Reap – rated 9.5 by recent guests! One of our best sellers in Siem Reap! 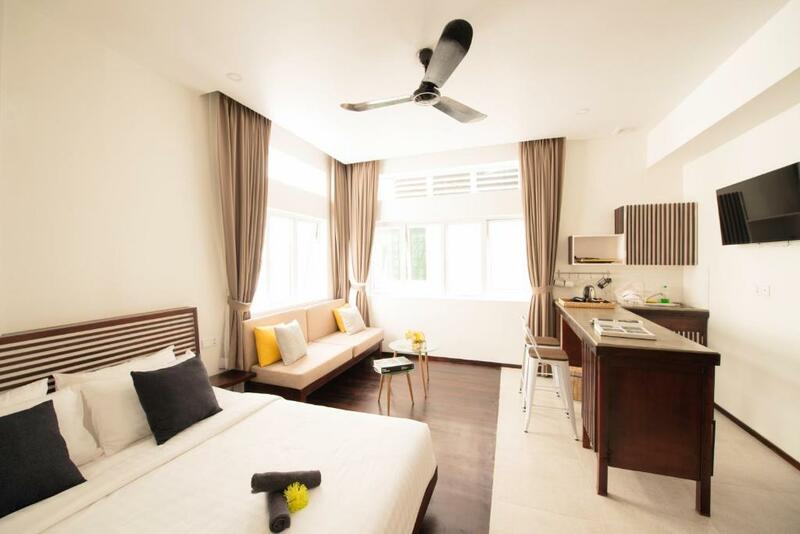 Offering townhouse-style accommodations with air conditioning, Ananda's Siem Reap offers accommodations in Kandal Village, 1,000 feet from Pub Street. Free WiFi is featured throughout the property. Angkor Wat is 3.7 mi from the property. Angkor Trade Center is 1,000 feet from Ananda's Siem Reap. The nearest airport is Siem Reap - Angkor International Airport, 5 mi from the property. The property offers complimentary pickup services from the airport or bus station. The accommodations features a dining area and a seating area with a cable flat-screen TV. Some units feature a terrace and/or balcony. There is also a kitchenette, fitted with a fridge. A stovetop and coffee machine are also offered. Each unit has a private bathroom with free toiletries. Bed linen is provided. Bike hire is available at the property. 뀐 Located in the top-rated area in Siem Reap, this property has an excellent location score of 9.7! When would you like to stay at Ananda's Siem Reap? This studio features a kitchenette, seating area and dining area. This studio has a dining area, tile/marble floor and sofa. This studio features a kitchenette, dining area and air conditioning. House Rules Ananda's Siem Reap takes special requests – add in the next step! Please note that the property offers complimentary pickup services from the airport or bus station. Guests are required to provide arrival details in advance using the Special Requests box available. Please inform Ananda's Siem Reap of your expected arrival time in advance. You can use the Special Requests box when booking, or contact the property directly using the contact details in your confirmation. Just information that the roof bar was closed but that is my only dislike. Be careful what you ask to be washed as it might stain some of your washing as we had a few items bleached and stained which is not the hotels fault, just who they use. My only problem with my stay was that I wasn't able to stay long enough! "Wall view" from the window.